I didn't start out to become a marketing ninja. 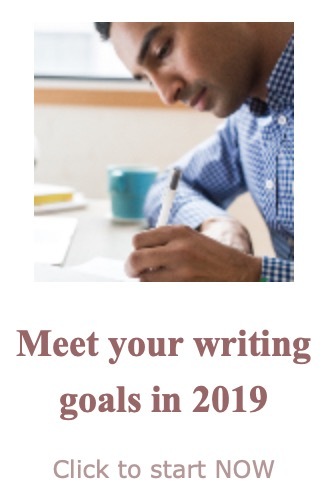 My partner and I have both been full time freelance writers for over ten years.We make a comfortable and easy living from writing non-fiction business and MBS books and indeed anything else we've ever been offered. So why go into publishing? We got fed up giving really good ideas to publishers and seeing them doing nothing with them. Oh sure, they would publish them and we would get a reasonable advance and some royalties. But we would often see our titles overtaken by similar ones from other publishers who were investing more time, money and energy into PR and marketing. Our solution? Yep, start our own publishing company. Hard work? Yep, lots of it. We had been used to delivering a manuscript and six months or a year later it miraculously appeared in the book stores. Now we had to find out what went on during that missing six months. And that involved editors, typesetters, book designers, cover printers, printers, distributors, wholesalers, book chains, book stores, discounts, mail order, credit cards (We sell over the phone and via our web site. ), deliveries, postage, tax returns and finally....customers. A long hard slog but worth it. and we didn't have to pay advances. Now we have commissioned our first authors and we feel like proper publishers at last. We even kept a journal which we have published as The White Ladder Diaries, our first business book, and it has become our surprising best seller. It helps other authors who are thinking of going it alone and want an emotional hand-holding guide. and ten planned for next year. We're here to stay and are making quite a name for ourselves by doing what I call ninja marketing. This is marketing on a big scale but using secret techniques. I won't give them away except to anyone emailing me directly. The sort of marketing I mean is, we had a big conference here of the Independent Publishers's Guild. I was sent the list of speakers well in advance and it pretty well included all the movers and shakers of the publishing business in the UK. I sent each and every one of them a copy of the White Ladder Diaries with a note saying, "I hear you are to be our speaker; we will be your most attentive listeners." At the conference I made a point of asking a question of the panel of experts who immediately seized on the fact that I had sent them all a copy of our book. One of them, a very senior buyer of a major book chain, then very kindly said I was the only one smart enough to have done this. That made our name at the conference and now when I ring up any of these top buyers they know who I am -- ninja marketing in a nutshell. We publish only quirky books, the sort the big publishers wouldn't dare take a chance on. We publish only books that are of some use to people. The readers must be able to do something or have learnt something by the time they've finished a White Ladder book. We publish only fun books. They must make people laugh or enjoy reading them in some way. Our books must be capable of attracting mass media interest. It's no use publishing a book that won't get good reviews. So after only one year and a bit we are still having fun. We have invested a lot of money. We could have done things cheaper perhaps but we are incredibly aware that a strong brand, a strong image and a look that says, "Quality," on everything doesn't come cheap. But that is what we want, a White Ladder book has to speak for us because when that reader is snuggling down in their chair in front of the fire we can't be there to whisper over their shoulder. The book has to say it loud and clear,"You're going to enjoy this. A lot of time and attention and love went into my production and you are going to be a richer person when you've finished reading." I love Richard's ninja marketing! And I plan to use his suggestions at the next possible opportunity. One reason White Ladder Press has the success it does is Richard's understanding that hiring professionals to take over some aspects of publication ensures an excellent product. 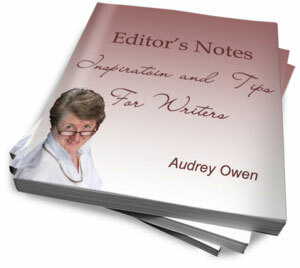 If you need editing services, I hope you'll consider submitting 500 words for a sample edit to Writers Helper. Marketing is not one of the editing services available at Writers Helper. Return to the home page to see what is on offer.